I. 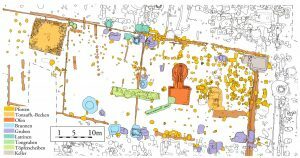 The first group of topics would include the data for the various groups of production facilities used in the Roman ateliers. The first group would comprise the clay preparation units (pits, basins, tanks or paved areas), used for the maturing, soaking, purification or breaking of the raw material (here or in separate group the clay extracting areas/pits could be added). Second group would be designated for the water supplying infrastructure – wells, pipelines, basins, cisterns etc. . The third group of facilities could include the buildings, rooms, sheds or areas where the forming of the products took place, especially working places with wheels, if such can be recognized. A fourth group should be organized for the drying facilities (drying sheds or dryers), with or without artificial heating source, used in many of the Roman potteries. Waste pits for misfired pottery, for no more usable raw clay, discarded kiln furniture (tubes, all sorts of loading supports), unusable tools, potter’s wheels etc. Having in mind the large amount of already published studies for the technological and typological features of the ceramic kilns, the collected data for the latter would be used only as supplementary for the information of the rest of the production facilities. 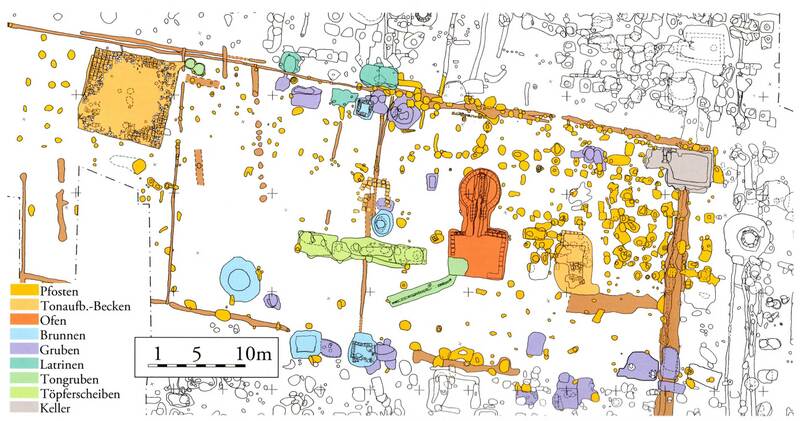 The basic data for the kilns would comprise number and location of these structures within the production sites, their basic typological features (round or quadrangular plan of the combustion chamber, also type of supporting system for the perforated floor), position of the firing chamber (above or underground), types of fired ceramic items and dating (when available). The last group (for now) would include buildings, rooms or other spaces designed for storing and/or selling of the ceramic items.In order to clarify the economic background of the potters using these facilities together with the specific type of ceramic production the structures in question were involved into, there are two more groups of information which should be considered. General location of the workshops (border or inner province/region). The settlement context of the site (town, villa, vicus, emporion). The surrounding landscape, for example mountainous or ravine region for the rural workshops, or in the case of the urban ateliers â€“ the precise zone of the town used for artisanal activities. Here the presence and proximity of natural resources (raw materials) used for manufacture of pottery should be included. The internal organization of the workshop (for example in or near permanent buildings or in open areas). III. The third group of topics would comprise the identification of the range of items produced in the studied ateliers (like building ceramics, terra sigillata, other fine tableware, kitchenware, amphorae, mortaria, terracotta figurines, oil lamps etc.). We would like to invite everyone (Fautores as well as Not-Fautores!) interested in the topic to participate and contribute to the project! What’s about the next future? We propose to ask Alexander to work as our secretary for the next time. 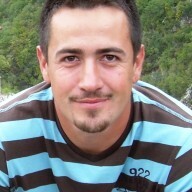 So, when you want to join our group, please write to him an email (harry_vt@abv.bg). And when you have ideas, comments etc., let him know this. You can also write in parallel a comment on our Fautores-Blog (https://blog.fautores.org/) at the post dealing with this subject. – to search for chances to establish a (European?) research project (perhaps for three years) with possibilities for financial support. Please submit your full name.